A director of Ukrainian commercial enterprise went to the Minsk Tractor Plant on a business trip. Another citizen of Ukraine went missing in Bealarus as the country's secret services detained the head of the company PJSC Weighting Plant based in Kostyantynivka, Donetsk Region. In a 16 November letter to the Ambassador of Ukraine to Belarus Ihor Kyzyma which came at the disposal of LB.ua, the company's acting COB O. Kozmenko said that the commercial director of Weighting Plant Oleksandr Skyba, born in 1978, arrived in Minsk on 15 November to negotiate with product supplies of foundry with local Minsk Tractor Works. Skiba flew from Kyiv to Minsk on 15 November at 14.20 and arrived there at 16:15 local time on the same day and was going to return on the same day, which he confirmed in a phone call at 19:20 Kyiv time. However, Skiba phoned his wife to Ukraine the next morning from an unknown Belarusian number to say he was detained by KGB officers. "In an attempt to learn the fate of our worker, I called on the phone that I found on the Internet to the operational officer of KGB department in Minsk to find out about the detention of our employee. The man who introduced as deputy operations duty officer, confirmed that our staff member is taken into custody," reads Kozmenko's letter. The Belarus KGB officer declined to disclose the circumstances and reasons of Skyba's detention, promising to call back if the need arises. In the meantime, the Ambassador of Ukraine to Belarus Ihor Kyzym told Belarus publication TUT.BY that Skiba is charged of bribery. The diplomat says he learned about Kyzym's arrest on Saturday, 18 November. "I immediately got in touch with our colleagues from the Belarus Foreign Ministry Unfortunately, they did not provide any information and neither did the KGB," the ambassador said. 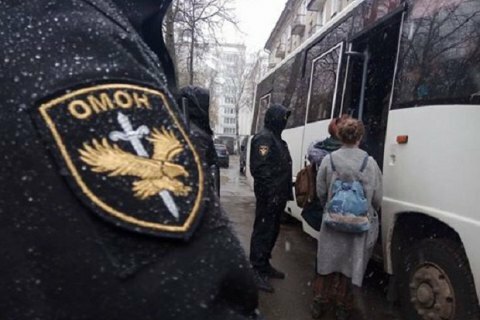 "We have sent a note demanding explanations for the reasons of detention of a Ukrainian citizen and the nature of accusations against him. We also demanded that Ukrainian consul and relatives to be allowed to visit the detainee," the ambassador added. Previously, the correspondent of UA:Ukrainian Radio in Belarus, a Ukrainian citizen Pavlo Sharoyko, was detained by KGB in Minsk on 25 October on a standard for foreign correspondents charge - espionage. Diplomatic sources told LB.ua that Ukraine views the arrest of Ukrainian journalist as a continuation of the special information campaign by Russian secret services to discredit Belarus before the international community. On 4 August, a 19-year-old Ukrainian Pavlo went missing in Belarus. Later it became known that he was seized and arrested by Russian special services and transported to a FSB jail in Krasnodar, Russia.